THOUGHTSKOTO Thoughtskoto : "10% Tax on Expat Workers" in Saudi Arabia is a Fake News! "10% Tax on Expat Workers" in Saudi Arabia is a Fake News! Rumors circulating in social media saying that expatriate workers in the Kingdom of Saudi Arabia will be subject to 10 percent tax is not true. It is the Ministry of Labor and Social Development (MLSD)who clarified the news. 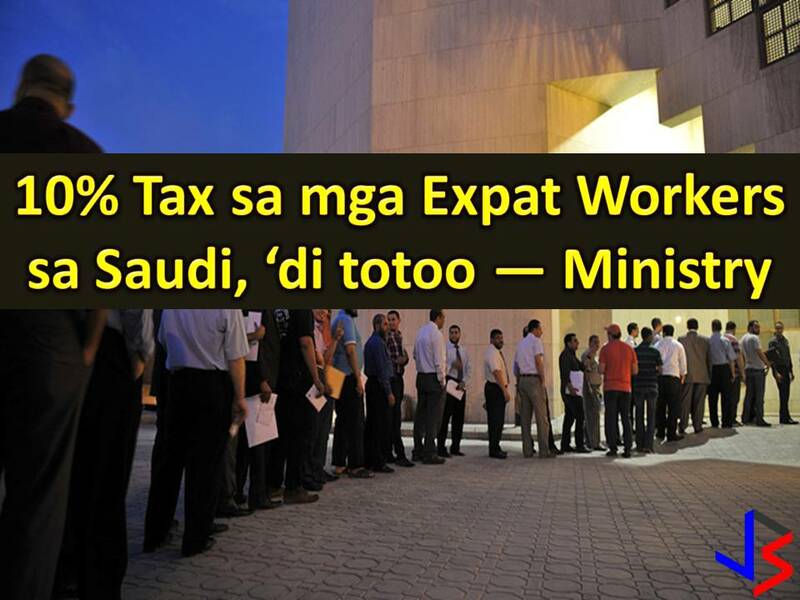 Many expat workers especially Overseas Filipino Workers (OFWs) are saddened by the FAKE NEWS saying that foreign workers in Saudi Arabia that earning more than SR3,000 a month will be subject to 10 percent tax. Rumors in social media claimed that tax will be imposed on expat workers and authorities coming from the ministries of labor, finance the Saudi Arabian Monetary Authority (SAMA) were coordinating to impose the tax.